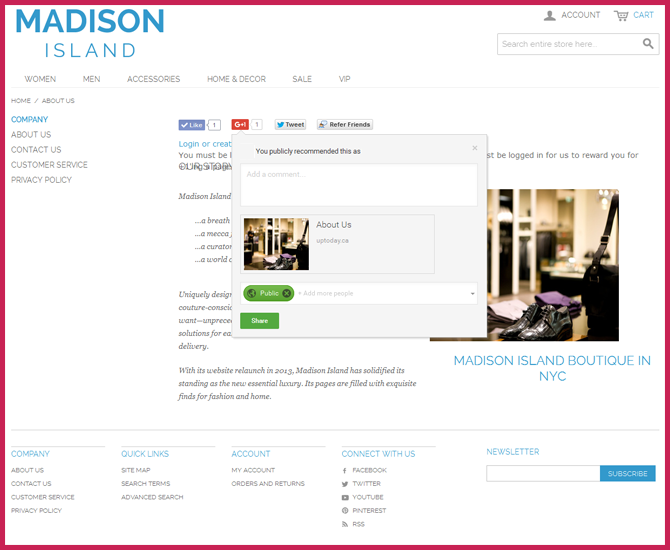 The customer can socially share any CMS page on your website and earn rewards for this action. 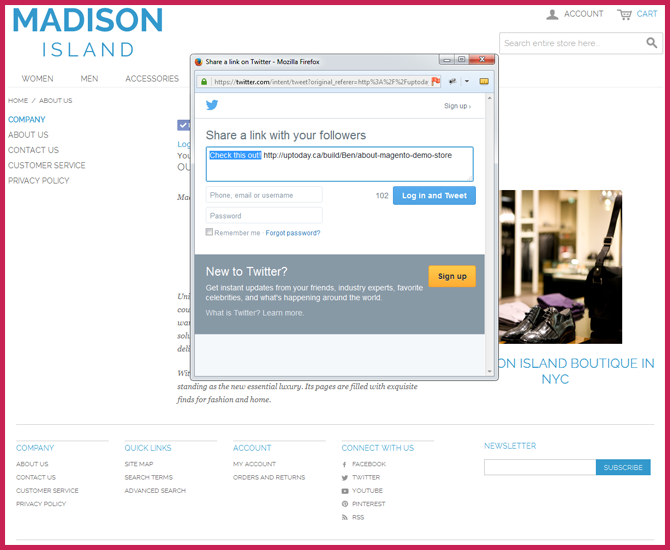 Social sharing includes Facebook, Twitter, Google + and Refer a Friend. The customer must be logged in to retain the rewards to sharing on social media, the social sharing widget will prompt the customer to login or create an account to get rewards for sharing. The below screenshot shows you the social sharing in action for Facebook. This feature is not a like of your Facebook Page but a share of the URL to that specific CMS page. The below screenshot shows you the social sharing using Twitter. Sharing by Google + is easy and helps the SEO of your shop. 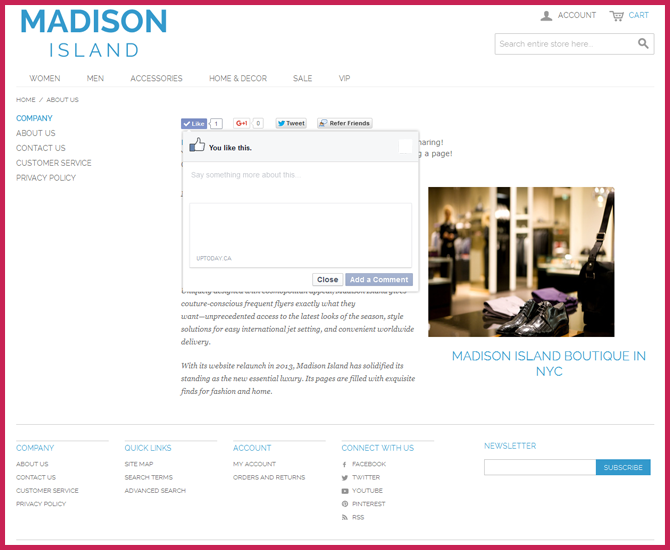 Your customers can Refer a Friend easily via social media - Facebook and Twitter using the below pop-up share functionality. 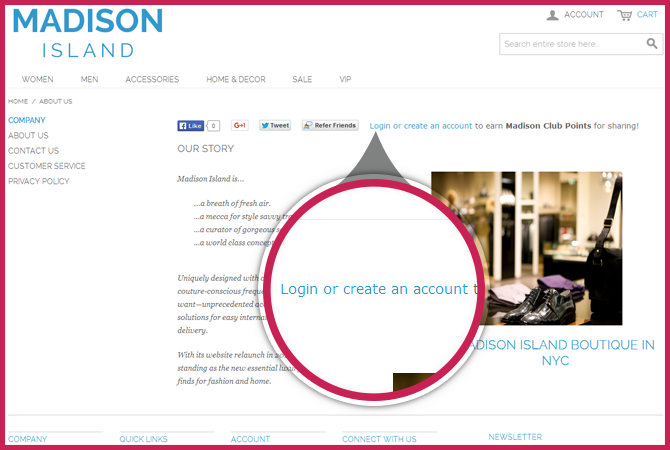 However you do need to be logged in, the pop up will prompt the customer to login or create an account. You can configure how these rules work in the MageRewards Configuration found in the back-end of Magento, this includes how these actions will be rewarded, any limits and if they show or are hidden. 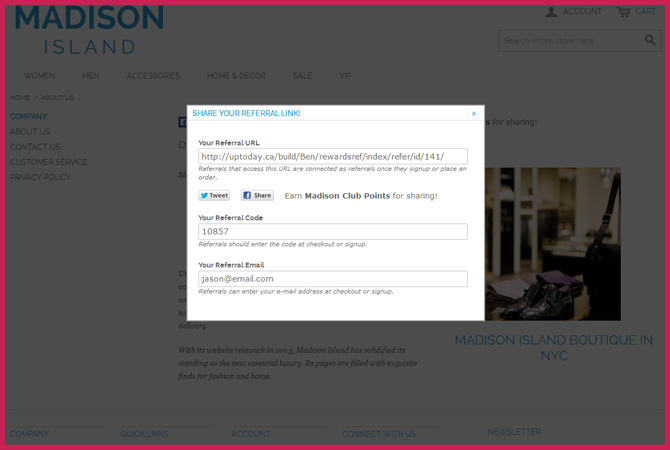 For example, you can control the number of times a customer is rewarded for completing a social sharing action. After that limit is reached, they can still complete the action but the rewards will not be given. If a customer likes a page and then unlikes it later, (which is unlikely) they will still keep their reward the whole point of this social share feature is to share the URL of the page they are liking. If a customer were to Tweet, like on Facebook and Google+ a CMS page multiple times they will need to wait a designated amount of time between shares. On top of that there is a limit of how many social actions they can complete and be rewarded for.